100% pain-free removal. Hypoallergenic. Advanced plaster technology used by hospitals. 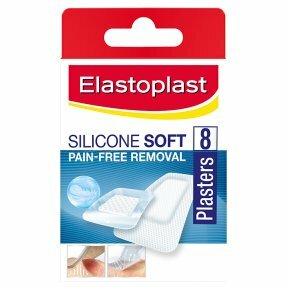 Perfect balance of reliable adhesion & completely pain-free removal. Sticks securely even after being repositioned. Extra soft and very comfortable wound treatment. Suitable for fragile and sensitive skin, infants and elderly.For covering and protection of minor wounds. Suitable after minor surgery. Directions: Clean wound and gently dry skin. Apply without stretching.